SH17004 was successfully added to your cart! SH17004 could not be added as a favorite. Please make sure you are logged in. Cam follower bearing with nut. 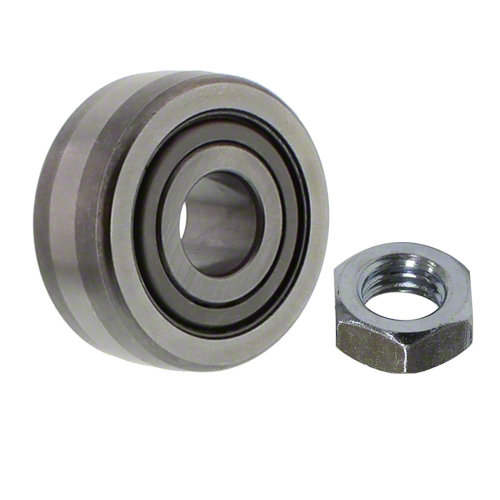 Double row ball bearing, 1-1/2" O.D., 5/8" wide. Mounts with 1/2" bolt (not included). Fits Vermeer balers 503I, 504I, 504 Super I, 504L, 504M, 504M Classic, 504N, 504 Pro, 505I, 505 Super I, 505L, 505M, 505M Classic, 505N, 554XL, 555XL, 604J, 604 Super J, 604K, 604L, 604M, 604 Super M, 604N, 604XL, 605J, 605 Super J, 605K, 605L, 605M, 605 Super M, 605N, 605XL, 664M, 665, 5400, 5410, 5420, 5500, 5520, 6410, 6640, 6650.